So. we’ve been talking about Spring Summer 18 trends and what’s landing in stores in the next few weeks. Our recent trend report pinpoints some of the key trends which you need to be keeping an eye out for. And just to prove that our high street faves are right on the money this season, I thought I’d bring you a quick post on what to look for at Karen Millen, which spookily tallies with all of our trend predictions for the new season, so it’s perfect for a little practical inspiration. If you take a peek below I’ve picked out my top 12 fave items from new season Karen Millen… and here’s why. First up you need to be keeping an eye out for polka dots (1) – anything with spots is perfect for a preppy spring vibe (and great for event dressing if you have a wedding or summer event to head to) – the halterneck dress is on my wishlist for starters. Sticking with pattern, animal prints are carrying on through to spring as a big trend. 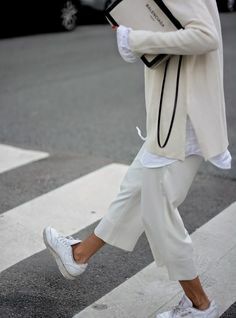 If the thought of print frightens you, then try it out in an accessory or two to get comfy with the notion… loving these pointy flats (2). Next, you need to be seeking a pop of colour. Think rainbow brights and again an accessory, like this gorgeous clutch (3) fits the bill. 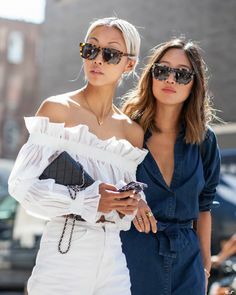 Shirts are a great spring layering piece, if you can nab one with some tie waist detailing then you’ve nailed two trends in one. Also loving the embroidery on this shirt (4). Yellow is having a bit of a moment for Spring Summer 18 – this asymmetric top (5) will be perfect for date night dressing or even dressing up your denim cutoffs if you are heading off the beach to a bar whilst on vacay. Also if you’ve embraced maxi and midi dresses as much as I have these past few seasons, then your beady little eyes may well have whisked straight to this gorgeous animal print maxi (6). It also comes in a straight monochrome leopard print for those who like a more traditional vibe. In terms of trousers, you definitely need a pair of pants with a stripe (7) this upcoming season. Think sports luxe and pair with anything from a simple tee to a slogan knit. And if you don’t own a trench coat yet, then this is the season to invest. The classic trench (8) is a versatile trans-seasonal piece and this yellow one is giving off all sorts of spring and summery happy feels. 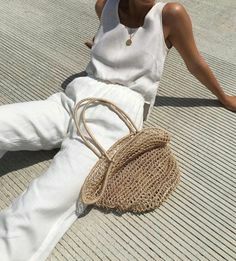 I’m also a big fan of a wide leg crop pant (9) – perfect for pairing with box-fresh sneaks and a biker jacket on the weekend – when you snap up a pair make sure the hemline sits on a slimming part of your leg either below or above the widest part of your calf to avoid cankle trauma. Then a stripe or two is essential to add to your shopping list. Loving this shirt with big sleeves and ribbon ties (10). As is a check jacket or coat (11). This was a strong trend through the winter and the best ones I found had a touch of colour weaved into them – this double-breasted check coat has all sorts of layering possibilities and would be a great addition to your closet. Finally, you need something with some fringe detail in your new season armoury – loving this new take on a biker jacket (12) with fun tassel fringe detail. So that’s my wishlist – I’m not saying I will achieve them all, but I will definitely give a few of them a go…what’s on your trend map for the new season? This post was created in collaboration with and sponsored by Karen Millen. To see more of the Karen Millen new collection take a peek here.